On the first day of class students get a secret file folder, a custom trick, and special key card to access the online video vault. 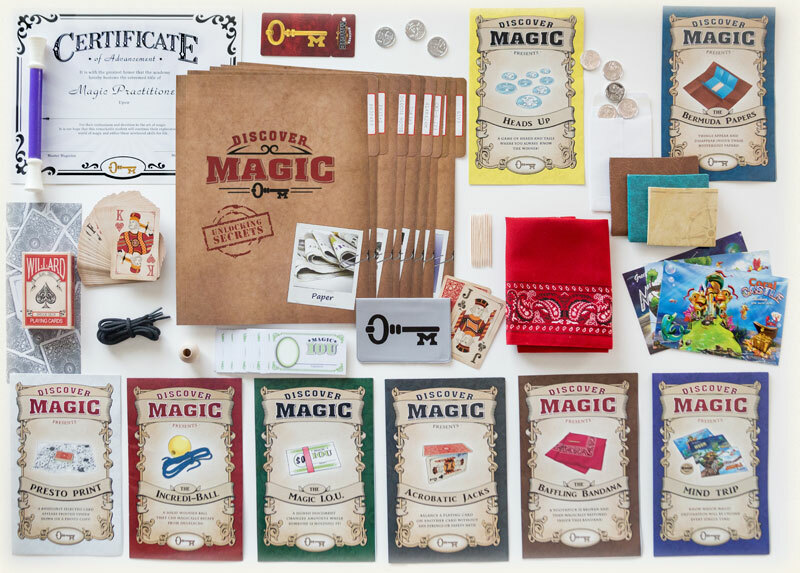 That key card gives them access to our exclusive Discover Magic video vault. Once logged in, secret words given at the end of each class will unlock more and more videos – including the special in-class videos that teach the 8 traits of a true magician and bonus videos covering additional tricks.